Every family's situation is unique. Niagara Hospice provides support and essential services for families to help them care for their loved one. This is done with help from physicians, pharmacists, nurses, social workers, counselors, therapists, hospice aides, homemakers and volunteers. The role of caregiver is often difficult and always vital. Niagara Hospice offers family caregivers resources to help them in this very important role. You do not have to face this illness alone - we are only a phone call away. When medical science can't add more days to life, Hospice adds more life to every day. Additionally, Niagara Hospice provides comprehensive bereavement services for family members as they navigate their own personal grief journey. Click here for bereavement services information. 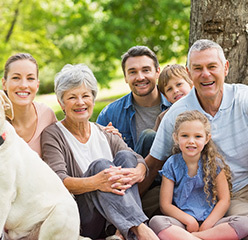 Let our family help yours. Call today. "We got almost a year with Hospice and in that time we had another Christmas... two more grandchildren were born. Once we made that decision to call and sign up with Niagara Hospice, my dad's life got so much better." A majority of families say they wish they had called Hospice sooner. 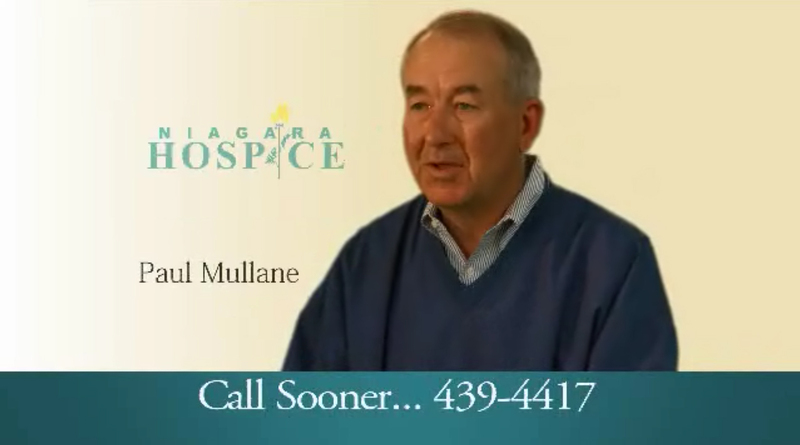 Click on Paul Mullane's image to hear his message.